Now, this is a video that will make you 'LOL' (laugh out loud). 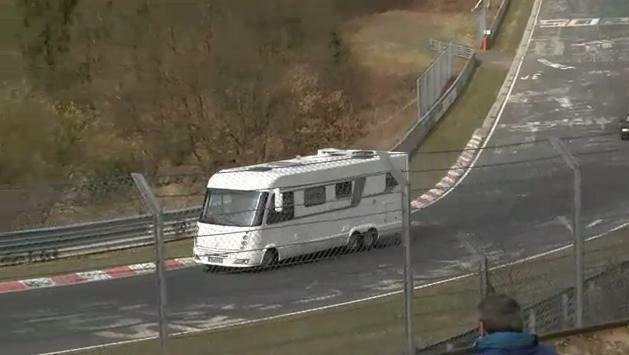 Here's something you don't see everyday of the week, especially on the Nurburgring racetrack; a 6 wheeled recreation vehicle whizzing around with some sports cars. Although some coaches and camper vans do sprint around the 'Ring, this is the first video we've encountered of a RV doing the same. See the video after the break! It is nice "LOL" really these video are so interesting. i enjoyed this all.good collection. keep it up.